Podcast: Have You Ever Wished You Hadn’t Said It? There comes a point where everything you say matters. It comes nearly immediately when we start our professional life. For some, it comes even earlier. Unfortunately, most of don’t realize it for quite some time. Some of us never see the power and impact – productive and destructive – of our words. When we talk about the impact of our words, some lawyers get defensive with me. Their defensiveness is less about the importance of their words — they get it. But, the hyper-vigilance I’m suggesting is burdensome. They can’t bear the idea of worrying about the impact of everything they say. It exhausts them just to think about watching themselves that closely. Every Friday morning, join 11,000+ lawyers in being less busy and more productive. 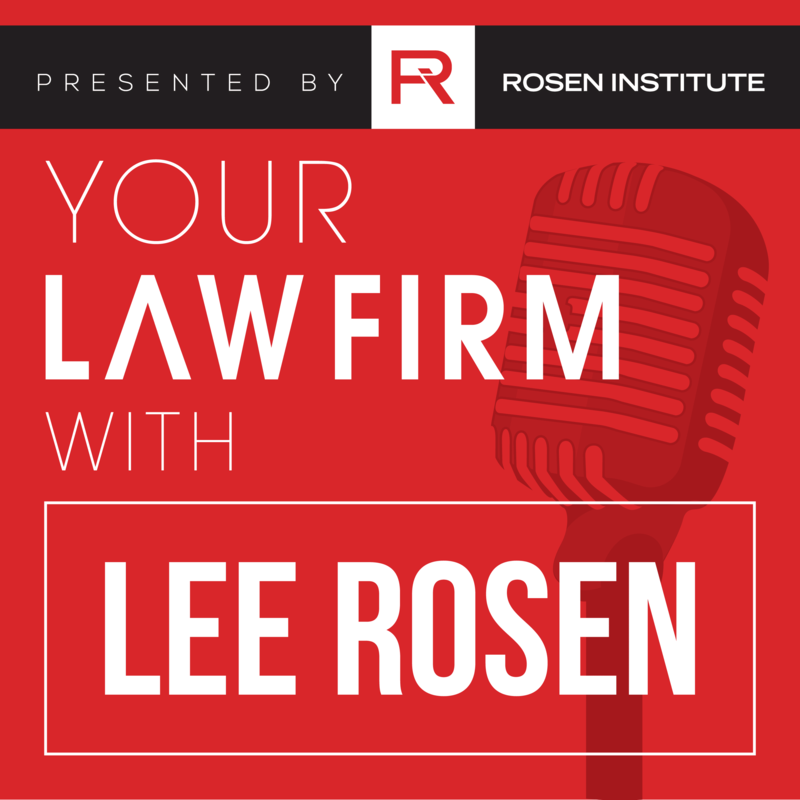 You’ll find safe, successful, actionable approaches for your law practice. Together, we’re less alone and more connected. Join us. Been there, done that, and felt the stress. Lee understands your practice having run his own for decades. That's why he's an ABA Blawg 100 Hall of Fame honoree. Rosen shares even more of his experience with Rosen Institute Premium members. Rosen travels the world full-time while working remotely. If you liked this article then you'll love the next one. Click here to get on the mailing list. It's one email every Friday.